The minister said reducing the country’s deficit was fundamental for the economy, enterprise and jobs. French Labor Minister Michel Sapin. 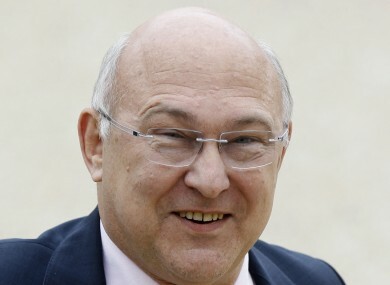 FRENCH LABOUR MINISTER Michel Sapin has said that France is “a state totally bankrupt”. In an interview with Radio J, the minister said this means it is necessary to put in place a programme to reduce the country’s deficit. “Diminishing the deficit is fundamental for the financing of the economy, financing enterprise and for the creation of jobs,” he said in the interview. He said there was “an urgent social and economic emergency” and that was why the government had taken immediate decisions in terms of the recovery of Europe growth and employment policy. Spokespeople for the minister later said that Sapin used the phrase in reference to former Prime Minister Francois Fillon’s words, which the journalist interviewing him had used in his question, France 24 reports. Yesterday French Trade Minister Nicole Bricq said that France has trimmed its record trade deficit thanks to resistant exports of agricultural, aeronautical, pharmaceutical and luxury products. Email “French minister says the country is "totally bankrupt"”. Feedback on “French minister says the country is "totally bankrupt"”.